On July 1, the Lockheed Martin-Fincantieri Marinette Marine consortium launched the 15th Littoral Combat Ship (LCS) into Wisconsin’s Menominee River. 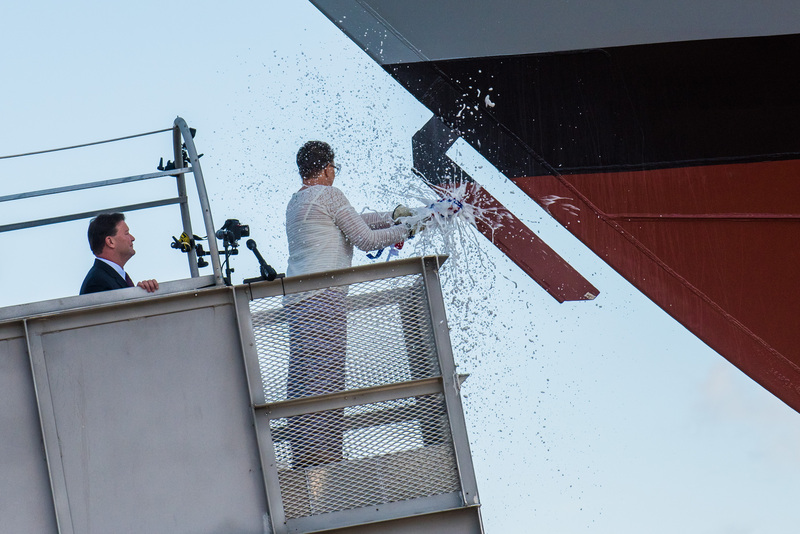 Ship sponsor Sharla D. Tester christened LCS 15, the future USS Billings, in Navy tradition by breaking a champagne bottle across the ship’s bow. LCS 15 will be the first U.S. Navy ship to bear the name of Montana’s largest city. She will undergo additional outfitting and testing at Fincantieri Marinette Marine before her delivery next year. The Lockheed Martin-led industry team is currently in full-rate production of the Freedom-variant of the LCS, and it has delivered four ships to the U.S. Navy to date. The future USS Billings is one of eight ships in various stages of construction at Fincantieri Marinette Marine, with one more in long-lead production. The Lockheed Martin-led LCS consortium says that the Freedom variant costs less than a third of a brand new Arleigh Burke-class destroyer, making it the Navy’s most affordable surface combatant shipbuilding program. Supporters contend that the ships are essential if the Navy wants to grow its fleet towards a force structure target of 355 vessels. However, the Government Accountability Office and the Pentagon’s Director of Operational Test and Evaluation have expressed reservations about the two LCS classes’ survivability and lethality, and the Navy is currently reviewing its plans to purchase an uprated “frigate” variant of one of the two designs. This entry was posted in Christenings and tagged christenings, uss billings. Bookmark the permalink.